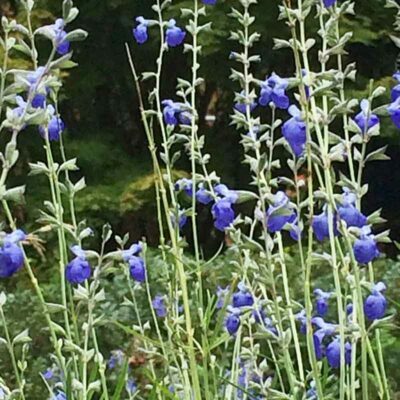 Cobalt blue flowers bloom late summer to fall over fine-textured foliage. 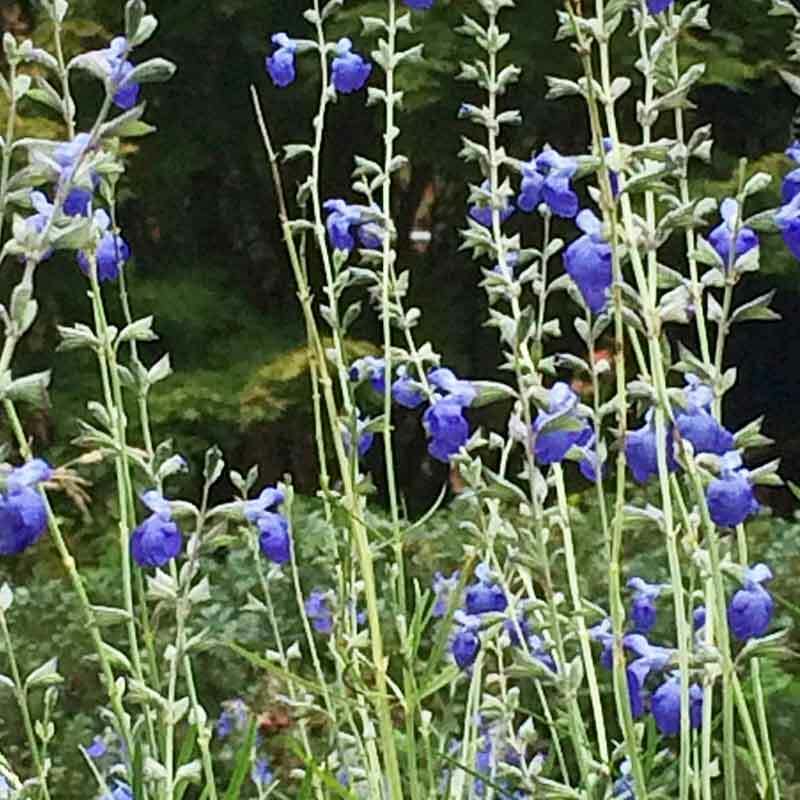 An upright variety that forms a wispy, free-flowing, 3-4′ form that needs no staking. Flowers attract hummingbirds and butterflies. Full-part sun. Good drainage. Drought and deer tolerant. Height 3-4′. Spread 1-2′. Native to Texas. Zones 5-10.